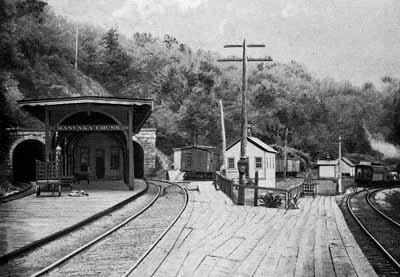 New passenger station 1899 replaced one that burned. 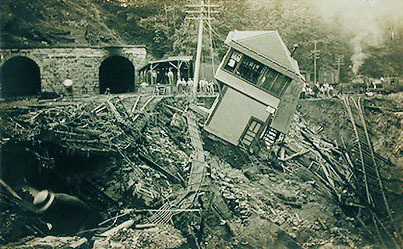 The station closed when the New Jersey Cut-Off was opened in 1912. Two single track tunnels 975 feet long connected Delaware and Manunka Chunk with Bridgeville, Oxford Furnace and Washington. 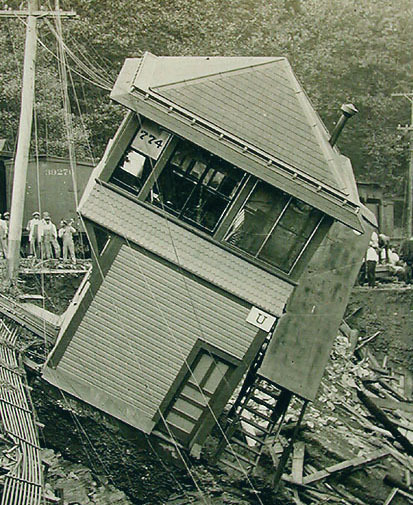 A wood tower for Pennsylvania Railroad interchange washed out in 1913 when embankment washed away and was relocated further west along hill. The tower was closed 1948 and the double track removed from Washington to Manunka Chunk in 1942. 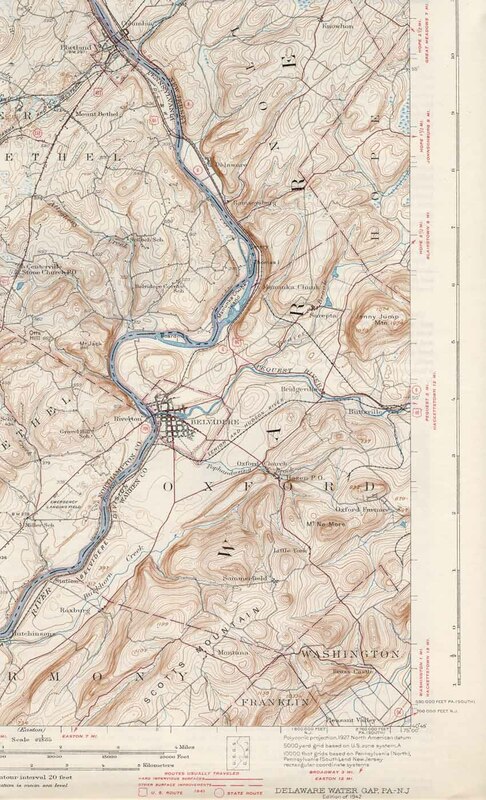 USGS Topo map showing location of Manunka Chunk (1942).